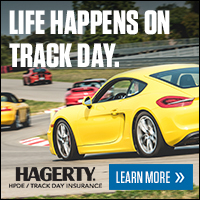 This is a unique program presented by Utah Motorsports Campus that allows enthusiasts to drive their street or race-prepared car at speed on our world-class racetrack in a non-competitive environment. No previous racing or on-track experience required. This is a special WOW event, being held on Saturday, during Memorial weekend. What better time to come out and show off your driving skills then during our very own Cruizer Palooza Car Show 5/26-5/27 2018.